Join us for a day of mud, sweat, & cheers! Don't miss out on the "kid themed" raffle FULL of awesome prizes! Sheets of 25 tickets will be sold on-site for $5 each. Winners will be drawn at the event and are not required to be present. Participants - Download a pledge form here. 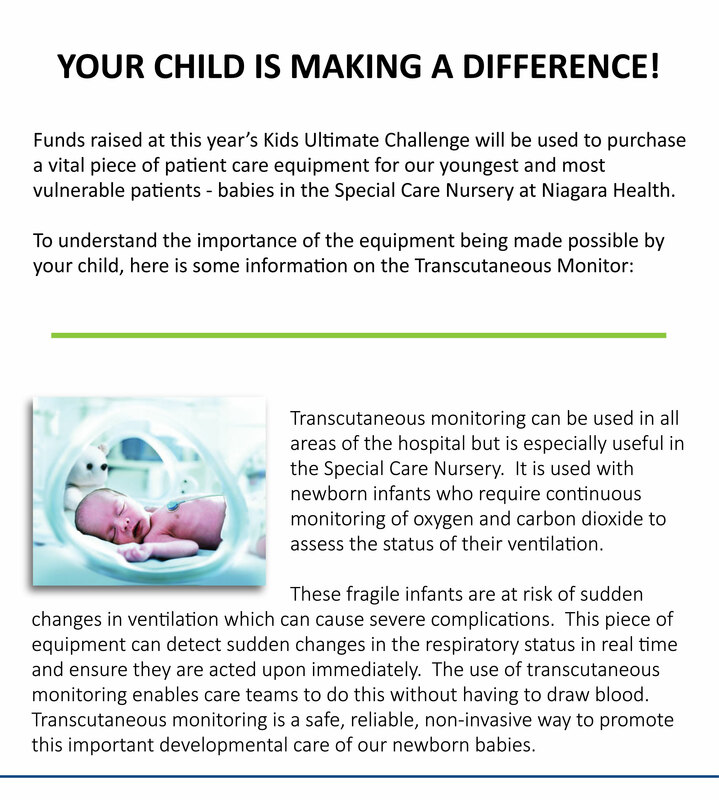 Your fundraising efforts have allowed us to purchase vital patient care equipment for the Children’s Health Unit at Niagara Health. Here are two featured pieces of equipment that were made possible by YOU! 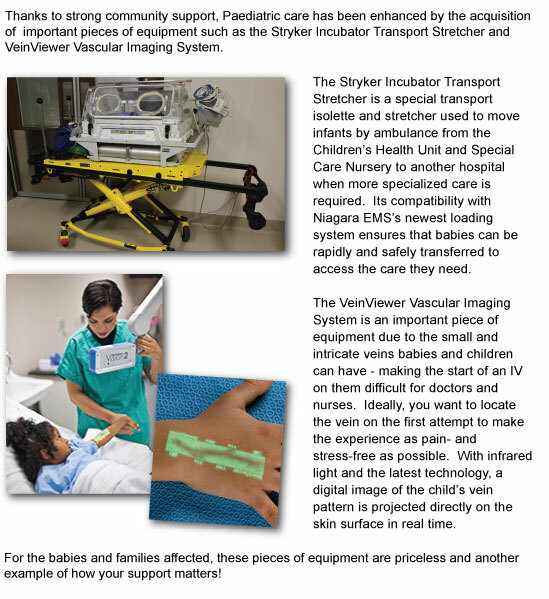 Copyright © 2018 Niagara Health Foundation. All rights reserved.